Regression Theory – For Children’s Writers et al! In I Corinthians13:11 Paul says, “When we were children, we thought and reasoned as children do. But when we grew up, we quit our childish ways.” (Contemporary English Version). Well, no disrespect for Paul or the Word, but anyone who wants to write for children had better forget about quitting childish ways … at least in the thinking and reasoning department. As I listen to stories for children by authors in my different writers groups, I realize that although their stories may be good – based on their own childhood as we all do – they are invariably written from the adult view point. We children’s writers are adults – that’s a given – but we need to regress, find that inner child that still lurks, get down on the 4’ level again and look up at the world. A number of years ago Tom and I took a trip to California. 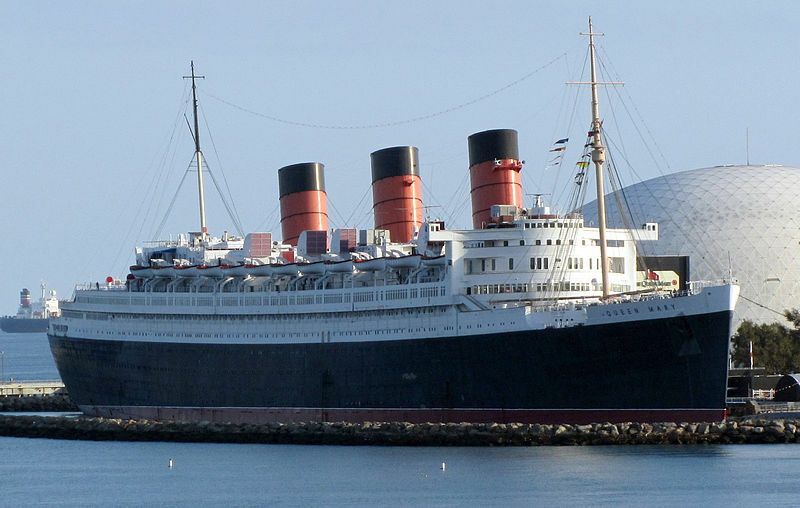 We have dear friends there whom we wished to visit, and I wanted to tour the Queen Mary and matar saudades (Portuguese for “kill homesickness” – in other words, a nostalgia kick – in this case childhood memories of our family trip to Europe aboard the QM). I planned to write a story starring me at 10, on that ship, back in 1954. When we drove onto the pier where QM is permanently moored, she looked just as I remembered her – black hull, white upper decks, red and black smoke stacks and large! As we walked up the gangway and boarded QM, it all came back. I knew the location of the grand salon – we’d attended church there – and the enclosed Promenade Deck. Both were in First Class. We’d not been allowed on that deck once the ship sailed, but we found a way using a service elevator on a back hallway. I think the steward found this amusing. In 1954 we’d traveled Tourist Class and our recreation decks were up top. When we reached the Sun Deck, I remembered the WWII anti-aircraft guns that had still been in place in 1954 – although covered with bolted steel housings. There, near the masthead, stood a replica, now placed on the deck as part of the museum. But the more I explored, looking for the old haunts (mine, not the several ghosts said to inhabit the ship! ), the more changes I found! Our cabin had been on C-Deck going over in January and D-Deck coming back to New York in August. And both times we had been aft (that’s the back of the ship). C-Deck was now a passage way, and D-Deck and all the decks below had been gutted to create a Cunard Line museum! Bummer! The only cabins we could tour were the First Class ones, now used as part of the QM hotel. 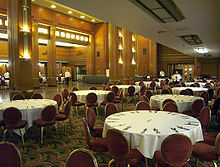 The entrance hall to our Tourist Class dining room was still in place, but the doors were bolted shut and standing in that hallway I began to feel a bit claustrophobic. When I found my way through a service door I discovered that the huge dining room was now a not-so-huge storage facility. The ceiling seemed low and the room narrower than I remembered. The same feeling of “small” came over me when I found the Tourist Class library and lounge. The elevator we had used to sneak into First Class was no longer in use, although the door was still in its proper place, but the tea room on the upper deck was now part of a WWII museum. What had happened? I grew up, that’s what happened, and my perspective with me! I learned a valuable lesson on that trip. If I’m to write a child’s story, I’d better find out about that child’s view of her world and respect it! I also realized that the younger the child, the larger her world seems to her. Food for thought! 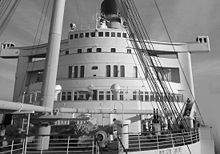 I kept my appointment with QM’s publicity director and dutifully recorded our conversation about the history of the ship; the ghosts and the locations of their sightings; and the ship’s activation as a troop transport during WWII. Everything I had come to research I accomplished. I had the background for a short story or book, too.. But as I experienced the ship in her new role as hotel, a different germ of an idea began to invade. Not a picture book. Not a storybook. A teen mystery! When we got home, I changed my main characters to a modern teen and her cousin, and me and my sister’s characters into their grandmothers. I also set the story on the QM as a hotel in ‘today’. It worked – I think. I’ve never had that story accepted for publication, but I like it. See if you do. “Queen Mary’s Diamonds” is posted on this web site. Enjoy! § 3 Responses to Regression Theory – For Children’s Writers et al! So true! A writer for young readers has to keep their view of the world in its original state. Everything has to seem bigger and more mysterious, but the writer also has to retain that urgent sense of time young people are so famoous for. Everything is crucial! This moment is life-or-death! The key quality writers for young readers have to avoid is nostalgia. Nostalgia is an adult fixation. Kids live afflicted by RIGHT NOW. Being adults themselves, editors don’t always get this right. Books are published that fail to remember what childhood is really like. Adults may be fooled but young readers won’t be. I love your insight! Thanks Adrian. Have always said that the best part of writing for children just might be the time spent thinking/seeing/feeling from the kid’s point of view. « But I’m Not Irish! You are currently reading Regression Theory – For Children’s Writers et al! at my other zone.